Any collection of essays focussing on a single state of Australia will inevitably flirt with the sin of exceptionalism. If I wasn’t leaning over backwards to avoid sinning I would add: and South Australia above all. Certainly South Australians have long believed that their state is different from and superior to the rest. Growing up in South Australia, I learned to be proud of its convict-free beginnings, not like those eastern states. Julianne Schultz – not a South Australian – sins unashamedly in her editorial introduction to Griffith Review 55. She explains the state’s exceptionalism by invoking its origins as a project of London reformers. The Reform Club origins explain a lot about Australia’s most unusual state: they helped shape a very different colony. South Australia has long been comfortable at the cutting edge of social, economic and political innovation. 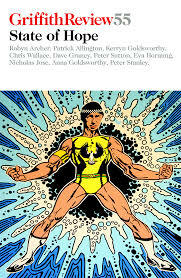 The theme of hope shapes the issue, from the title to the brilliant cover by Nigel Murray-Harvey, depicting Don Dunstan as Captain Adelaide, superhero – though surely even in the glorious year 1973 this image carried ironic as well as iconic meaning? Many of the contributors concern themselves with this theme, but most read it ambiguously. The issue carries the usual mix of essays, reportage, memoir, fiction, poetry, and photo stories, about thirty pieces in all. Unsurprisingly, memoir is more prominent than usual, infiltrating the essays. The contributors are nearly all South Australians, one way or another; more than three-quarters were born in Adelaide or its surrounds, and more than two-thirds are living there now. Some contributors, like Robyn Archer and Kerryn Goldsworthy, are wanderers who have returned to the fold. A recent recidivist, Tracy Crisp, describes the pull of Adelaide: affordable housing, good schools, good food, fabulous festivals, and, above all ‘a deep and visceral need … to bury my roots in something more than sand’. These are mostly views from the inside, however. Amrita Malhi, recently arrived from Malaysia, declares her otherness: ‘I haven’t been able to participate in any of the nostalgia for South Australia’s past’. Was it the same in every city in every state in Australia at the time? Trying not to romanticise, attempting generously to afford all Australians the luscious recollection of puberty and the wet dreams of our teenage years, I still keep thinking it was different in Adelaide. And, however strategically governments pursue industrial transformation, most recently in the much maligned forms of windpower and the storage of atomic waste, Spoehr can see no way of replacing the lost industrial jobs and repopulating the suburbs they supported. Two contributors look at particular cities and their experience of industrial decline. Peter Stanley wavers between hope and despair for Whyalla, the city that gave him and his parents ‘the new start in a brand new sunny country for which we left rainy, grey Liverpool’. The climate lived up to expectations, but the BHP-based boom that brought the Stanleys and thousands of other migrants to Whyalla ended in the late 1970s. ‘Whyalla began a gradual contraction, one that continues still.’ Over the last 50 years the city has suffered ‘cycles of hope and despair’, as new ventures were tried and failed. Stanley finds vision and creativity in Whyalla today, but he remains at best uncertain about the city’s future. Michael Dulaney is more upbeat about a similar story of boom and bust in Port Augusta. He writes about the decommissioning of the brown coal power plant which ‘had defined Port Augusta for sixty years’. This was ‘a town … where people driving back from holiday did not feel they were home until they could see the chimney and powerhouse sitting like a decaying steel ship on the horizon’. Now the chimney-stack has come down, and the hopes of the town are pinned on another, less polluting form of power generation: sunlight. The town hopes to host Australia’s first concentrated solar thermal power plant. The sun is already being put to good use in Port Augusta, powering the growth of ‘millions of tonnes of hydroponic tomatoes’, some 15 per cent of Australia’s tomato crop. Dulaney writes: ‘Some people were already saying that the farm’s solar tower had replaced the old coal chimney in their hearts’. Other contributors celebrate happier times when innovation paid off, and South Australia could claim to lead the nation in politics, culture and civic virtue. Don Dunstan is emblematic here. Angela Woollacott celebrates him as ‘a trailblazing reformer, an advocate of social justice and civil liberties’, who turned South Australia ‘from a provincial backwater into a state synonymous with food, wine, the arts and multiculturalism’, ‘the great example of Australian social progress’. Chris Wallace’s memoir triple-weaves the story of Dunstan and his decade with her memories of growing up in sun-soaked Christies Beach, and the coming of rock and roll. She dates ‘Adelaide’s golden age’ from 12 June 1964, ‘when the Beatles flew into town’, to 15 February 1979, ‘when a dressing-gowned Don Dunstan resigned office’, ending ‘the most exciting state government Australia has ever seen’. For 12 years under Dunstan, briefly punctuated by two years of conservative government under Steele Hall early on, Adelaide was the ‘Athens of the South’ and Don its philosopher-king. Dennis Atkins takes up the theme of South Australian political invention, but with different heroes. Steele Hall to him was not a conservative but a ‘radical centrist’, and the inheritor of this ‘independent streak’ is Nick Xenophon. South Australian exceptionalism is a movable feast. The Indigenous past troubles a number of the contributors. As a historian, I enjoyed Kerryn Goldsworthy’s exploration of the biographical, family stories that lie behind the official stories that are South Australian history. And I was fascinated by Peter Sutton’s forensic analysis of another kind of source material: the making of legal evidence in native title claims in the Roxby Downs area. 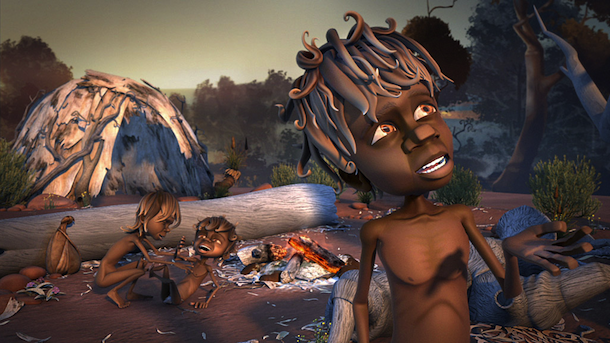 Both Goldsworthy and Sutton are centrally concerned with placing the Indigenous past in the South Australian present. Adnyamathaha Ngawarla is something to be treasured here and now before it is too late. My dream in learning it, and helping make these books, was to see all South Australian school children study it, and in doing so, truly begin to know their own country. Reconciliation and Australia’s ancient languages go hand in hand. Let me declare my bias here. Chris Wallace’s evocative memories are of an Adelaide ten years younger than mine. Christies Beach was not a suburb in the 1950s, but a holiday place where we kids ran wild for two weeks every year. I first went door-knocking for Don Dunstan in 1962 – yes, the entirely forgettable Frank Walsh was Leader of the Opposition, but it was Don we were campaigning for. In 1965, I left Adelaide, and I have never lived there since. But I share some of Wallace’s memories: mushrooming in ‘green, wet paddocks’; spaghetti in the ‘Italian restaurant in Hindley Street with red-and-white check tablecloths’; fresh fish bought direct from the fishermen; the bottles that replaced flagons of wine – Old Castle Reisling was the height of sophistication in 1963. So why have I never gone back for more than a visit? I guess I do not cherish my home state with the warmth that moves much of this collection. I was raised in the suburb of Blair Athol, next door to Archer’s suburb of Enfield, and a little less barren. Thinking about her sense that ‘it was different in Adelaide’, Archer suggests that the difference might lie in the ‘unrelenting dry of the background to our adventures’. Perhaps my inability to grasp this difference springs from my father’s pleasure in setting a sprinkler on the lawn, slicing the hot air with the smell of wet grass. Or my mother’s delight when autumn rains turned the yellow hills green. As a child I did not learn to love a sunburnt country. Julianne Schultz’s editorial ends with a brave assertion. 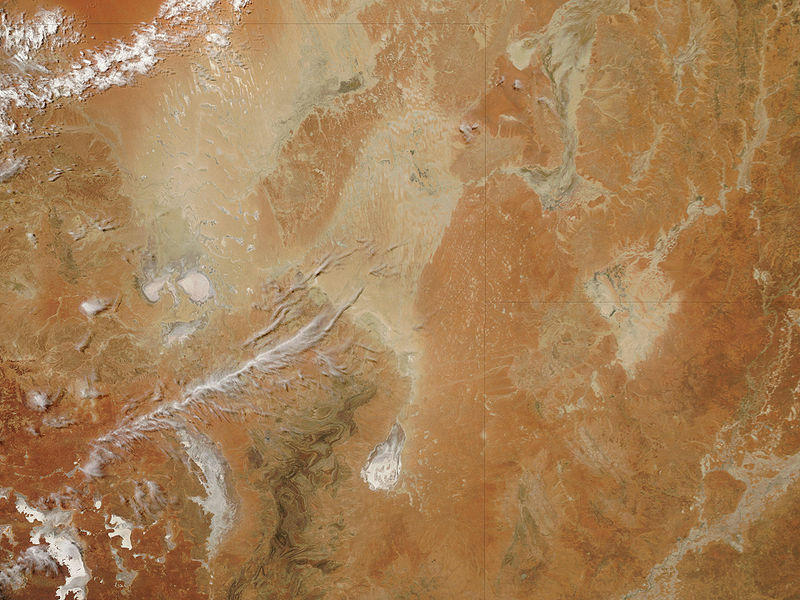 The hope that shaped South Australia has not evaporated … over 150 years of settlement new visions have, with surprising regularity, become reality … If a place can have hope in its DNA, it is in South Australia, where it will be an essential element of the challenges of a new epoch. * Marian Quartly is Professor Emerita of Australian history at Monash University. She is co-author with Shurlee Swain and Denise Cuthbert of The Market in Babies: Stories of Australian Adoption (2013) and she has written on nationalism, the family, religion and the construction of male and female sexualities.